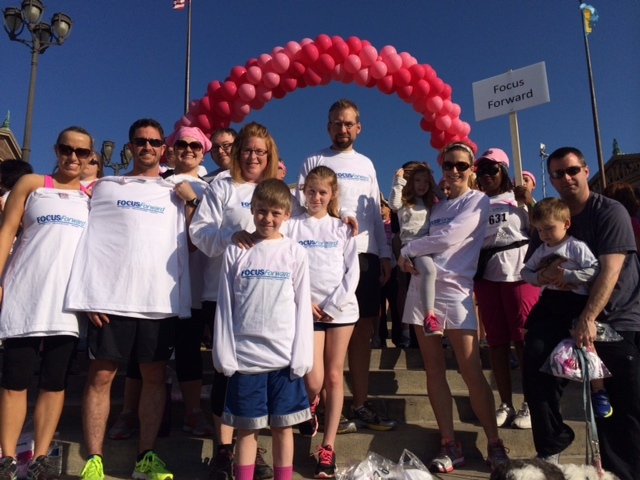 Focus Forward supported the Susan G. Komen foundation by participating in the 24th Annual Breast Cancer Walk on Mother’s day. The Philadelphia Race for the Cure has funded more than 140,000 free mammograms, provided $52.5 million in grants for local breast cancer programs and contributed $21.5 million for research. We are thrilled to be a small part of this cause. Thanks to everyone who participated! Posted by focusforwardblog on May 13, 2014 in Uncategorized.